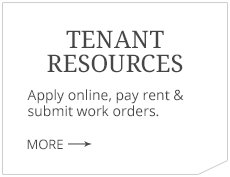 Our mission is to provide top quality leasing and management services to our owners at reasonable prices. We pride ourselves in excellent communication and personalized service. 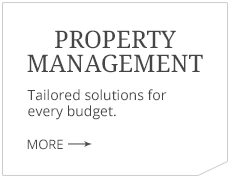 Our specialty is management of single family homes, duplexes, town homes, and small multi-family units. We cover all of Denton County, Texas. 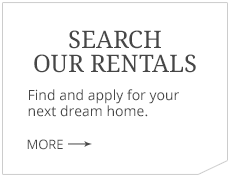 We are a family-owned company and are affiliated with Keller Williams in Denton, Texas. Tracey is a mother of three and has three grandsons which she adores. She is licensed as a Keller Williams Realtor. In May 2015, she joined the Denton County Property Management team. She loves the Denton Area since it is unlike anywhere else. Also, she has lived here for over 40 years. Her passion is helping people find their new home, whether it's a rental or a purchase! Amanda has been a spunky addition to the DCPM team since November 2016. She graduated from the University of North Texas in 2014 and recently completed a couple intensive trainings through her church-- Women’s Program and Counseling Class. Learning new things, being outside, reading, and spending time with friends are just some of her many favorite things. Tonya joined the DCPM team as Office Manager in September 2014. She has worked in the Residential and Commercial Property Management business in Denton County for the past 8 years. She enjoys promoting innovation and creativity in the office and her goal is to help ensure that our owners and residents have a positive experience. Tonya grew up in Lewisville, but has spent the last 25 years as a Denton resident. She and her husband Terry have 4 grown children and thoroughly enjoy spending time with their 7 grandsons (still waiting for that granddaughter)! When she's not working or spending time with her family, Tonya enjoys watching her daughter play roller derby and “girl trips” with friends. Born and raised in Denton, Jud is an associate broker and has been a property manager at DCPM since September 2013. He owns and manages several of his own rental properties, so real estate is in his blood. Jud graduated from the University of North Texas (UNT), and is also a graduate of the Leadership Denton Class of 2013. Jud is an avid sports fan, and plays on a local softball team. When he’s not working, he enjoys spending time with his wife Rashel and daughter Hallie. Sherrie has been with DCPM since May of 2011. She is a fourth generation Texan and a proud mother of three. She enjoys reading, traveling, high school sports and spending time with her horses. Sherrie also owns a fingerprinting business. She is a very busy woman to say the least. Paul and Ginger Ilami are the owners of the company. They have lived in the DFW area since 1989, and moved to the Denton area in 1996. 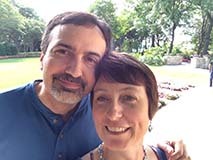 They met at Baylor University, and were married in 1989 (after graduation). Both Paul and Ginger continued their educations at UT Arlington, where Ginger received a Masters degree in Social Work and Paul received an MBA in Real Estate and Finance. They have three children: Aaron, Audrey, and Isaac, whom they enjoy spending time with. Ginger works on critical back office activities such as payroll, and is adept at streamlining the company's business processes. Ginger is also an author, and enjoys writing daily devotionals. Paul, a real estate broker, is President and oversees all operations at DCPM. Both apply Christian principles to the property management business (including focus on service, honesty, and integrity). Chery started with DCPM in June of 2017. She has been in property management for the past 17+ years. She married her best friend in 2011 and is a proud mother to six wonderful children. Three are grown, three are littles, and a Noni to her favorite little guy. She loves spending time with family, couponing and creating new projects. Chery is a passionate animal rescuer, whenever she gets a free moment you can find her at any given shelter giving love to the unwanted. Dawn joined the DCPM team in January 2018. She has a Bachelor's Degree in Interior Design and Business Management from Appalachian University. Though new to property management she has experience in design, sales, business management, and customer service. 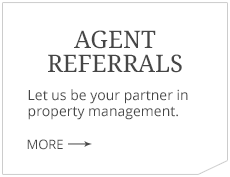 She enjoys working with owners and tenants to make them feel part of the DCPM family. She is a native of NC and landed in Texas 18 years ago via Virginia, Germany, Korea, and Georgia. Dawn is a proud mom to Corey, Emily, and recently Kimberly when she and Corey married in March 2018. She serves her church through women's Bible Studies and as a lay counselor. In her free time she loves spending time with her family, friends, and pups.